• At 5:20 p.m. on Aug. 3, deputies responded to the 4200 block of Shawnee Trace Road in Blanchester on the report of two subjects with active warrants. Upon making contact, deputies located hypodermic needles on the 37-year-old male subject and, after getting consent from the 23-year-old female subject, they located capped hypodermic needles in her bag. The male was arrested for alleged drug abuse instrument possession. The female was arrested for alleged drug abuse instrument possession and aggravated drug possession. • Deputies responded to the 13000 block of State Route 729 South in New Vienna to a vehicle fire at 3:04 p.m. on Aug. 5. According to the report, the vehicle was a 1997 Ford VN that was reported stolen out of Beavercreek. 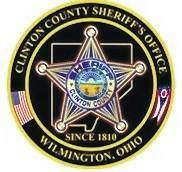 • At 2:41 a.m. on Aug. 5, deputies conducted a traffic stop for an unreadable license plate and a marked lane violation on U.S. 22 East near Starbuck Road in Wilmington. According to the report, suspected narcotics were located. • During a traffic stop on U.S. 22-3 near Clarksville Road in Wilmington at 12:54 a.m. on Aug 6 for an expired license plate, the driver refused to exit the vehicle probable cause search. Drugs were located in the vehicle. The driver refused a field sobriety test. The driver, a 20-year-old Wilmington male, was arrested for allegedly operating a vehicle while under the influence and obstructing official business. • At 12:55 a.m. on Aug. 13, during a traffic stop for a marked lanes violation at the 3700 block of Jonesboro Road, deputies located a hypodermic needle. • At 1:33 a.m. on Aug. 13, deputies arrested a suspect after performing a traffic stop on State Route 730 for a left of center violation. The suspect was arrested for alleged O.V.I., State O.V.I. Refusal, open container of alcohol and left of center. A drug and drug abuse instrument charge are pending lab results. Deputies seized a hypodermic syringe and a straw with a white powder residue.